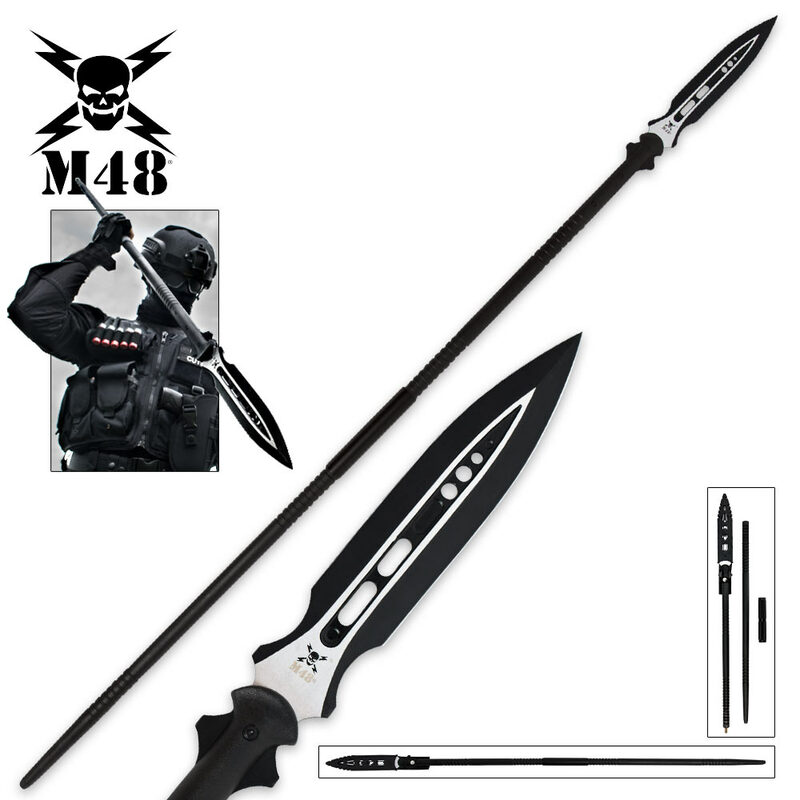 M48 Magnum Spear With Sheath | BUDK.com - Knives & Swords At The Lowest Prices! You asked for it and M48 is giving it to you! The M48 Magnum Spear is a mighty 65 1/2" in overall length and is by far the longest tactical spear you'll find anywhere. It features a 10 3/4" cast 2Cr13 stainless steel blade with a black oxide coating and satin finish that makes it a force to be reckoned with. 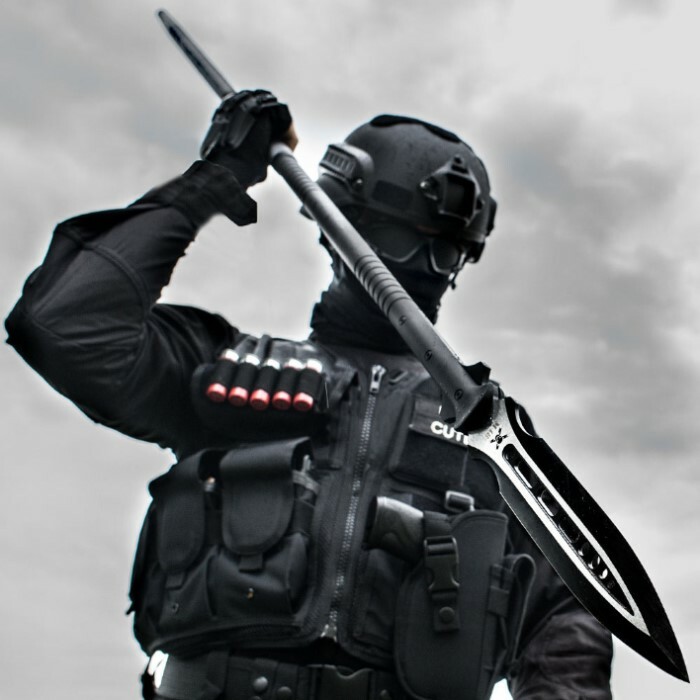 The spear is attached to a glass-fiber-reinforced nylon handle with a reinforced aluminum shaft. The handle also features molded grooves to give you a completely secure grip. This incredible spear breaks down into two pieces for transport and storage. A steel sleeve secures the two sections into a rock solid handle when assembled. 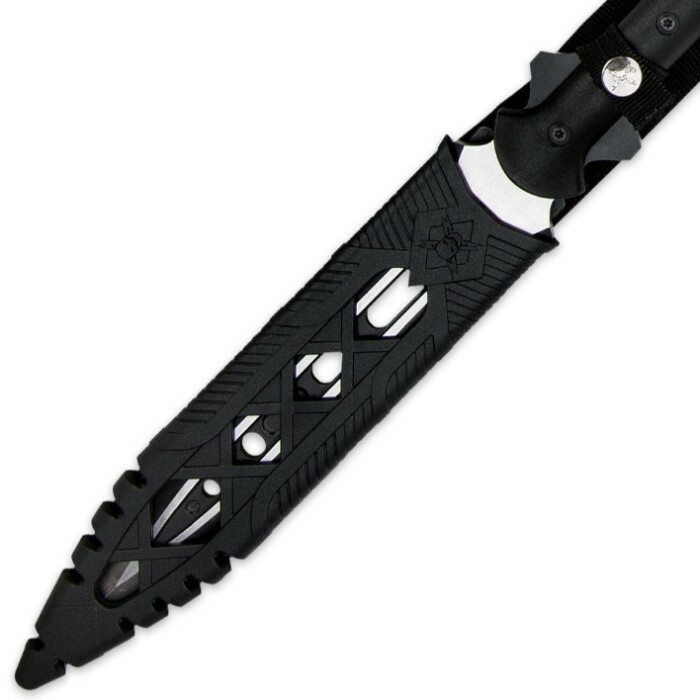 A TPU sheath houses the blade. It took some work to get it to screw in to place but once it was in there was no wobble at all on this spear. Most spears that unscrew have a wobble but not this one. This is an awesome spear for the price. It throws well also no bend or break in the spear head. There is a metal overlap were the to pieces meet which helps when throwing this spear. The tip broke after throwing it at cardboard boxes and soft logs. Seeing the promo video with the guy stabbing a metal sheet, you'd think it could handle it. The finish wore off rather quickly also. The shaft seems sturdy enough. It comes in 2 pieces that screw together, making it heavier than I expected, but that's actually a good thing in my book. The actual throwing was good also. Overall, if the spear head was made of better stuff, this probably would have gotten 5 stars.